The numbers vary from year to year, but in 2017 females bought 233,906 licenses and men bought 897,347 statewide, according to the Michigan Department of Natural Resources (DNR). 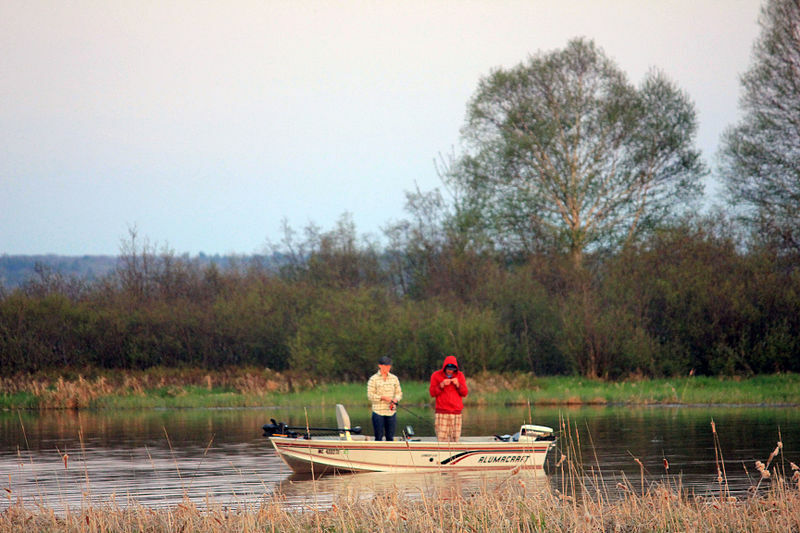 The Michigan Tech study shows that in 2014 Montmorency County had the highest proportion of licensed adult anglers: 53.7 percent of male residents and 18.1 percent of female residents. More than 15 percent of women and more than 45 percent of men in Ontonagon, Schoolcraft. Luce, Presque Isle and Arenac counties bought licenses that year. The lowest participation rates were in Wayne and Washtenaw counties. The findings reflect a major challenge facing natural resource agencies in the Great Lakes region: how to recruit, retain and reactivate anglers. This year, the DNR will search for tactics to better reach millennial-age women in Michigan, such as social media messaging on Twitter and Instagram, according to Elyse Walter, a Fisheries Division communications specialist. The messages will point the women to DNR websites with information about licenses and state park fishing programs. Targets include women who engage in other outdoor recreation, such as camping and hunting, and women who are “lapsed” anglers, meaning they had licenses in the past but not in recent years, Walter said. To lure youngsters and families to the water, the DNR will sponsor two free fishing weekends on Feb. 16-17 and June 8-9 with no licenses required. And Walter said fishing organizations such as Bass Unlimited, Michigan Steelheaders and Trout Unlimited help “connect with their communities, especially juveniles and college students,” to help recruit new anglers. However, information officer Nick Green of Michigan United Conservation Clubs (MUCC), cautioned that recruitment events aren’t enough in themselves. “We know, and we’re starting to learn, it’s great to take a kid hunting or fishing” but the results are limited unless there’s an “infrastructure or support system in which parents or other adults continue to take them out,” Green said. For the Michigan Tech study, associate professor Richelle Winkler and graduate student Erin Burkett analyzed fishing license sales to in-state residents of Michigan, Minnesota, Wisconsin, Illinois and Indiana for 2000-2016. Their study appeared in the journal Human Dimensions of Wildlife. Voices traditionally heard at meetings of natural resource agencies and some fishing-oriented organizations usually belong to a “predominantly aging and white membership,” Winkler said. The trend, especially a growing interest among young women, indicates that resource managers and policymakers should recognize that “the stakeholders they’re used to and comfortable dealing with don’t necessarily match up with the current and changing demographics of the people who are actually out there fishing,” she said. “There are other voices out there,” she said. She also said more research is needed to determine if women and young people have different interests in fishing policies and practices and whether they fish for different reasons than men and older anglers. If women and younger anglers become engaged as “valued partners” in decision-making, it would encourage more of them to fish, she said. There could be long-term benefits from encouraging more women to fish: As women reach their late 20s and 30s and have children, their participation in fishing “could snowball to a new generation of girls and boys who grow up in a more family-fishing model rather than the historically father-son model,” Winkler said. Michigan Tech research is looking at Minnesota and Wisconsin where “female participation was considerably higher” than in the other three Upper Great Lakes states. For example, 26.5 percent of Minnesota residents 18 and older had fishing licenses in 2014, as did 22.9 percent of Wisconsinites. The comparative numbers were 11.6 percent in Michigan, 9.2 percent in Indiana and 6 percent in Illinois. Winkler said the major reason for the wide gap is that Wisconsin and Minnesota offer “spousal licenses” in which husbands and wives get a combined license at a lower fee than two separate licenses. Is it possible that concerns for eating fish that may be living in waters contaminated with the unknown has discourage fishermen? At one time many men fished to supply food for the table.